Mahagun India developers offer premium commercial and residential properties in Noida and Ghaziabad at the most cost-effective prices. It has many ongoing projects such as Mahagun Mirabella, Mahagun Mywoods, Mahagun Meadows and many others on the list. 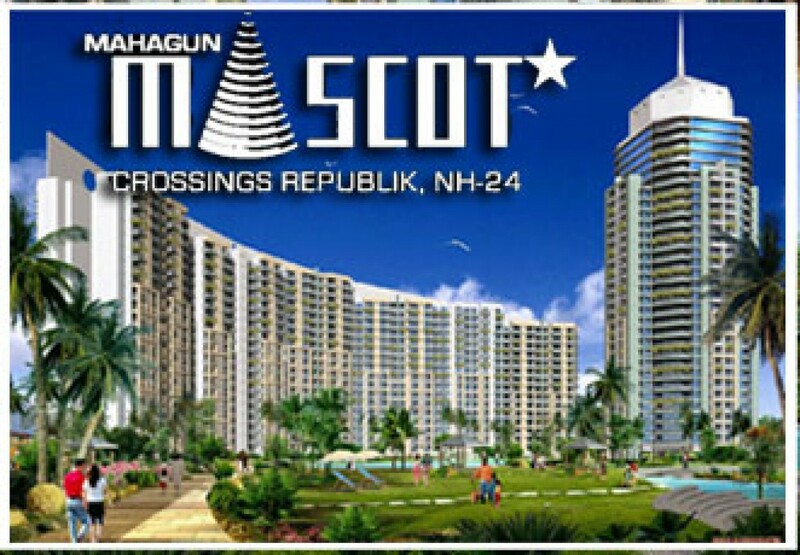 It now presents Mahagun Mascot luxury residential township at Crossing Republik Ghaziabad. Among the many residential projects in Crossing Republik Ghaziabad the Mahagun Mascot Township offers the best of features and specifications and promise ultimate luxury and comfort. The Mascot homes have high quality laminated wooden floorings and hardwood frame doors and windows offering high quality structures. The Mascot Flat in Crossing Republik Ghaziabad is the new launch by the Mahagun Group offering 3 BHK and 2 BHK residential apartments in size ranging from 1080 sq ft. and 1225 sq ft. These flats in Crossing Republic have great designs and specifications, exotic interiors, contemporary architecture, latest technology, vast green expanses and mastered layouts. The Mascot residential projects in Crossing Republik Ghaziabad have specifications like certified building complex, earthquake resistant structure, eco friendly technologies, efficient security system, 24 hour power supply with backup, reserved parking spaces besides is the unmatched joy of water fountains and floating garden providing eye catching views. These 3 BHK and 2 BHK residential apartments come loaded with recreational facilities like a separate yoga deck for convenience, mini golf course, swimming pool, club house and amphitheatre add to the value. The pleasure of living at multiplies with Mahagun Myriad the clubbing option provided within the premises. These flats offer rain water harvesting provisions, and have quality materials, open modular kitchen, huge windows and open balconies providing lush green gorgeous views. For better functioning and security Mahagun Mascot RWA has been constituted that is an executive body working for the betterment of services of the complex, elected by the residents of the Mascot society. The Mahagun Mascot RWA also looks after the grievances of the residents and tries find earliest possible solutions to address the issue. The presence of such an elected body makes the living environment even more secure. There are many communication modes to reach out the RWA and communicate with fellow residents.